UPDATE - JULY 2018 - We are sorry to report that Kokopelli Bike Shuttle has closed as of June 2018. 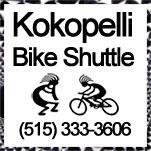 Please welcome Kokopelli Bike Shuttle as BIKEIOWA's newest sponsor. 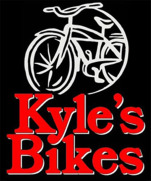 Kokopelli Bike Shuttle was formed to provide transportation for groups of Cyclists & their bikes to area trailheads or events in a convenient and fun way. 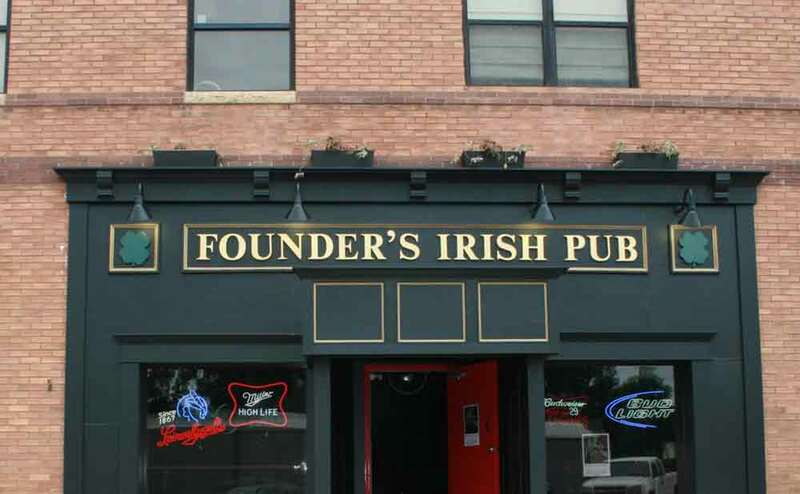 In addition to bike trips it is available for parties or business transportation. The bus holds 14 passengers and the 14 bikes fit easily and securely on the trailer. (often with feathers, dread locks or antenna-like protrusions on his head), who has been venerated by native American cultures most prominently in the Southwestern US. Like most fertility deities, Kokopelli presides over both childbirth and agriculture He is also a trickster god and represents the spirit of music and fun. Team Kokopelli is a group of people who enjoy cycling, music and think Kokopelli is a cool dude even though he is over 1,000 years old. Features include fourteen passenger seats, rear monitor and 2” trailer hitch. Interior repair station, luggage rack, cooler, basic first aid kit, phone charger and Bluetooth audio system. 32” TV for Karaoke, DVDs, your phone or GoPro. Lawn chairs and 12×12’ pop up canopy. Repair stand & basic tools can be used in bus or outside. Home Base is 1840 SW White Birch Cir, Ankeny (Next door to Kyle’s Bikes). Available for work or fun. 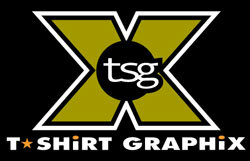 Business transportation, birthday parties, wine tours, beer crawls or special events. Easy to lock your bike on the trailer, bus has rear monitor to keep an eye on the bikes, lock on the hitch and spare tire on board. You need a class 2 hitch or stronger with 2” ball and flat tail light connector. The Charter service with our professional driver is $80/hour, minimum two hours. You Drive, Bus Rental rate $200/day week days, $300/day Saturdays, Sundays. Trailer Rental $75/day week days, $125/day weekends. Bus & Trailer rental $250/day week days, $375/day weekends. Copy of driver’s license and proof of age 21 minimum and proof of insurance required.